نصف‌النهار ۴۵ درجه غربی ۴۵مین نصف‌النهار غربی از گرینویچ است که از لحاظ زمانی ۳ساعت و ۰دقیقه با گرینویچ اختلاف زمانی دارد. The meridian 45° west of Greenwich is a line of longitude that extends from the North Pole across the Arctic Ocean, Greenland, the Atlantic Ocean, South America, the Southern Ocean, and Antarctica to the South Pole. In Greenland the meridian defines the borders of Avannaata, Qeqertalik, and Qeqqata municipalities with the Sermersooq municipality and the North East Greenland National Park. 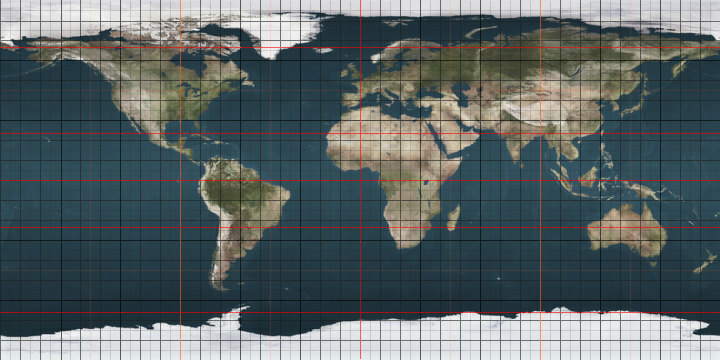 The 45th meridian west forms a great circle with the 135th meridian east, and it is the reference meridian for the time zone UTC-3.